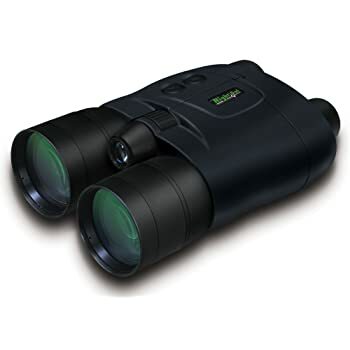 A combination of a pair of binoculars and a telescope is what makes a night vision monocular such a useful viewing device. 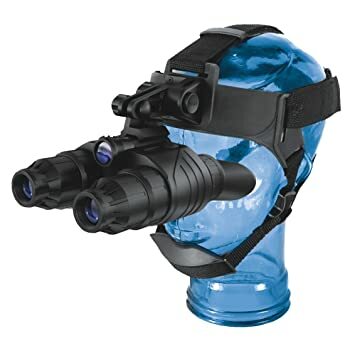 The best night vision monocular is lightweight, self-contained, and capable of being hand-held or mounted on a weapon or helmet. Different brands have been used in nightly operations by the United States forces to gain a tactical advantage on the battlefield. So, a monocular is a convenient substitute to standard binoculars. This refers to how larger a monocular makes an image appear. Your choice of magnification (higher or lower) does entirely depend on what you will be using the monocular for. The ratio of the size of an image to the size of the target is indicated as 1X or 2X and so on. Product specs will display two figures (3x30mm). The second figure refers to the objective lens diameter of the monocular. Low magnification is convenient for viewing a wider area instead of a single target. A monocular with a low optical power produces a very large field of vision, but with a smaller image zoom. A higher magnification has a small field of vision but presents remarkable details of an image. A higher magnification is suitable for picking a single target at a distance. Different monocular brands have different lens coating. This includes simply coated lens to fully multicoated lens, which is definitely costly. Brightness and clarity of the image captured by your monocular are very important attributes, which are significantly affected by the type of lens coating. Fully multicoated lens reduce glare while improving brightness and clarity compared to the simply coated lens. There are four categories of monocular lens coating including the aforementioned ones: coated, fully coated, multicoated, and fully multicoated. If you are after quality (better brightness and clarity), the fully multicoated lens is the best choice even though pricey. However, you can go for the coated lens to save money; it will still capture an image but with a few hitches. The optical design is determined by the monocular prism. The kind of prism used by every monocular depends on the optical power of the device. There are three major optical designs you can choose from. They include roof prism, Porro prism, and Galilean. Roof prisms designs are suitable for a greater focal length, and they exist in higher magnification brands. Porro prisms are the most popular optical designs in the market. They display an erect image instead of an inverted one. On the other hand, Galilean designs also display an erect image; however, they have a small field of vision. The size and weight of a monocular are very important. The best model should not only be lightweight but also compact. You should also know that a smaller and compact design does not offer excellent performance. For instance, a 10×25 model is compact and cheaper, but will not offer you the ideal image details. To avoid the poor display of a smaller monocular, you should go for something slighter larger, such as 3×30. The larger objective lens offers you a large view. You will not have to identify your target; you can just go ahead and use the monocular to zoom in your target. Apart from the clear image, a monocular with a larger objective lens is easier to use. Therefore, you can enjoy a brighter, sharper, and wider image if you settle for an objective lens diameter of thirty to forty-two millimeters. Product Specifications: 5×50; 180m range of detection; 36 lines per mm resolution; 15-degree field of view; and 20 hours battery life with IR & 72 hours battery life without IR. 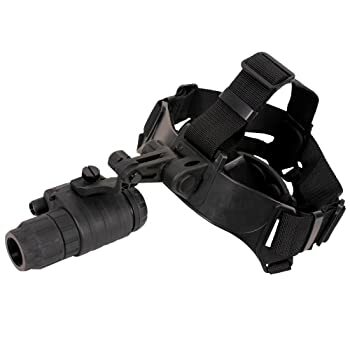 Description: The Firefield Nightfall II is the best night vision monocular for late night outdoor adventures, such as hunting, military, or security. The exceptionality of this particular Generation 1 monocular is seen in its easy-grip design. It will only take you a few seconds to configure and pick an image of your target. It is installed with one of the largest objective lens diameters, making it the best selection for an array of nighttime activities. It has a larger objective lens diameter of 50mm, which is easier to use and delivers a wider, sharper, and brighter image. The design is highly weatherproof, featuring a contemporary, rubber-armored casing for outstanding durability. It is a very resourceful and reliable monocular. The IR is exceptionally bright, and the focus can cover a hundred yards and beyond. Has a reliable battery life of 72 hours without infrared light, and 20 hours with infrared light. The monocular infrared light is detectable too uses from the right viewpoint. It does not come with batteries, forcing you to incur extra cost. 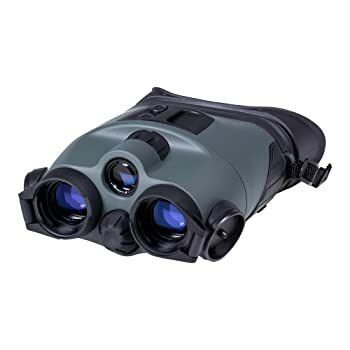 Product Specifications: 3x30mm; 656 / 200 ft. /m viewing range; AA (batteries); installed with infrared illuminator; 30 ft. @ 1000 yards field of view; and has a tripod mount. Description: Bushnell Equinox Z is the best digital night vision monocular for daytime or nighttime use. It has a sizeable objective lens of 30mm, along with a digital optical power of 1-3X and a maximum magnification power of 3X. It has a rugged weatherproof design that is not only tripod mountable, but also runs on 4 AA batteries (not included you have to buy separately). The design also features multicoated glass objectives that deliverer remarkable optical clarity. Daytime and nighttime vision. The use of digital technology offers daytime color, which allows you to use the device during your daylight adventures. The magnification power of 3X, objective lens of 30mm, and IR assist beam allows you to view a target for up to five hundred feet. Zooming is much easier when using Bushnell Equinox Z. You can use setting, lever, or dial to zoom in on your target or zoom out to achieve a wider view. The eyepiece capability only favors nearsighted users; farsighted individuals will have to use contacts or glasses. 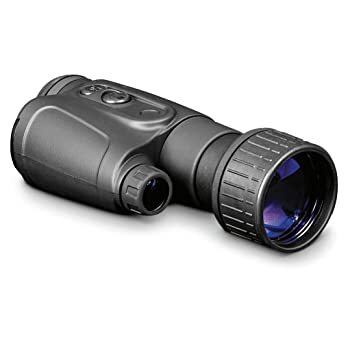 Product Specifications: 6×50; infrared illuminator; aperture F=1.3; field of view @ 100 yards; powerful infrared spotlight; 1150 ft. / 350M viewing range; adjustable eyepiece; in-view 1.5” TFT display; wide field of view; and high optical clarity. 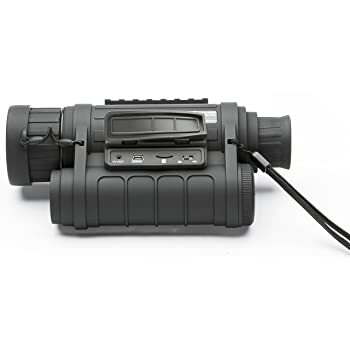 Description: The Bestguarder HD is the best night vision monocular for a wide range of activities, including hunting, scouting game, surveillance, security, search & rescue, wildlife observation, night fishing & boating, nighttime navigation, camping, and exploring caves. This is another big lens monocular for the money. With this device, you do not have to identify your target in advance. The large objective lens diameter offers you the desired field of view for a wider, sharper, and brighter image of your target. The Bestguarder has a rugged weatherproof design that can withstand harsh environmental conditions, and it is also tripod mountable. It offers you a digital optical power of 1-5X and a magnification power of 6X. The combined magnification and 50mm lens deliver a detailed image of your target. A highly resourceful and ergonomic model that is pretty easy to use. It is unbelievably clear even in complete darkness. It might present some hitches during recording. A green screen may appear with some lines after pressing the record button. 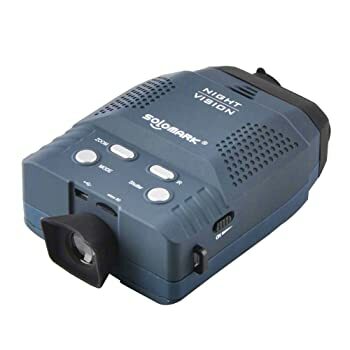 Product Specifications: 2.6X magnification; 16 to infinity range of view; 30 lp/mm resolution; 12-degree angle of view; 3 infrared intelligence modes; 2 to 30 FPS variable frame rate; 300X to 10000X light amplification; and 4 AA batteries. 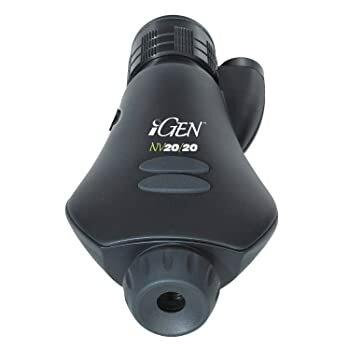 Description: Night Owl iGEN is the best night vision monocular for both day and nighttime use. Forget about the Generation 2 and 3 techs, the Proprietary iGEN is the new technology worth paying for. Its price is affordable because it has no intensifier. The monocular is highly versatile as far as light amplification is concerned. You can actually adjust light amplification from 300X to 10000X. A feature unique to the Night Owl iGEN is the auto adjustment of wattage with respect to the varying darkness levels. The best day and night vision monocular for the money. It offers the ideal clarity with either the manual or digital resolution as well as focus adjustment. The design is well-built, and you can even adjust the background illumination color to your liking. The available colors are white, green, blue, or red. The design is ergonomic; offers you a strong grip with or without gloves. The device is not suitable for a user with sight problems. Product Specifications: Low light sensitivity; compact design; handy and safe; variable zooming; flexible illumination; AV & USB function; integrated color LCD screen; quality video & image functions; 320×240 screen resolution; 14-degrree field of view; 640×480 image and video resolution; and 5 hours battery life. 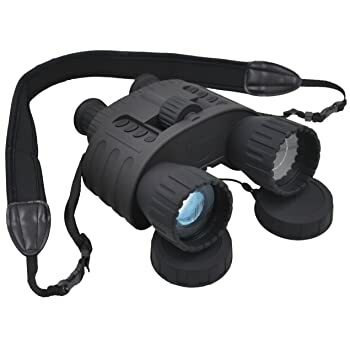 Description: Solomark is a high performance modular, handheld night vision monocular for the money. It uses seven-level IR LED illuminator, integrated LCD colored screen, high sensitivity sensor, and multicoated objectives to provide crisp, clear images under the darkest conditions. This device does more than just provide you with a clear image of your target. You can truly record eye-catching video and take amazing photos of your target. 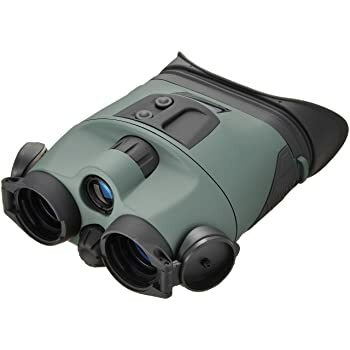 The Solomark monocular is highly reliable, provides maximum light transmission and optimal brightness so that you can conduct observations in even the most unforgiving surroundings. It has a highly ergonomic design that is handy and safe. You can easily mount it on a tripod, link to your binoculars harness, or put into a bag. The rubberized outface makes it more rugged and offers a good grip. A very resourceful gadget that allows you to take photos and record outstanding details of your target. The range may be weak for some applications. 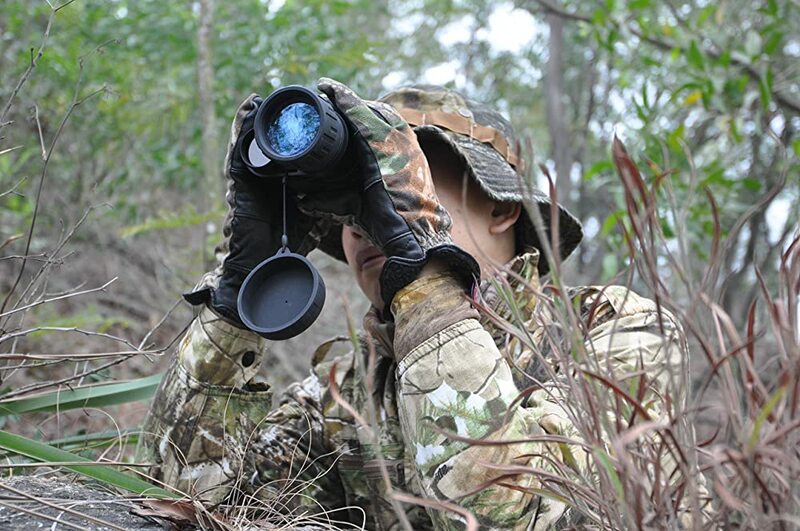 The best night vision monocular is one that can be used in low light, complete darkness, and daytime. However, not all models have daytime functionality. Consider purchasing a highly resourceful model that can allow you to take photos and capture videos of your target. The design should also be rugged and weatherproof with a strong grip, especially if you are planning to use it in harsh surroundings. 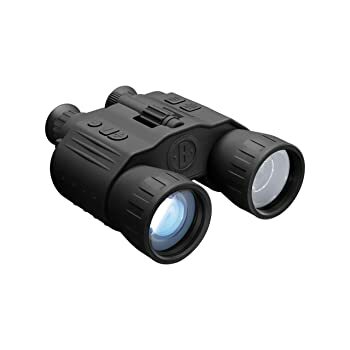 To be a successful hunter, you need the best night vision scope that has enhanced features, including a durable and sleek design to separate it from any other night vision riflescope. 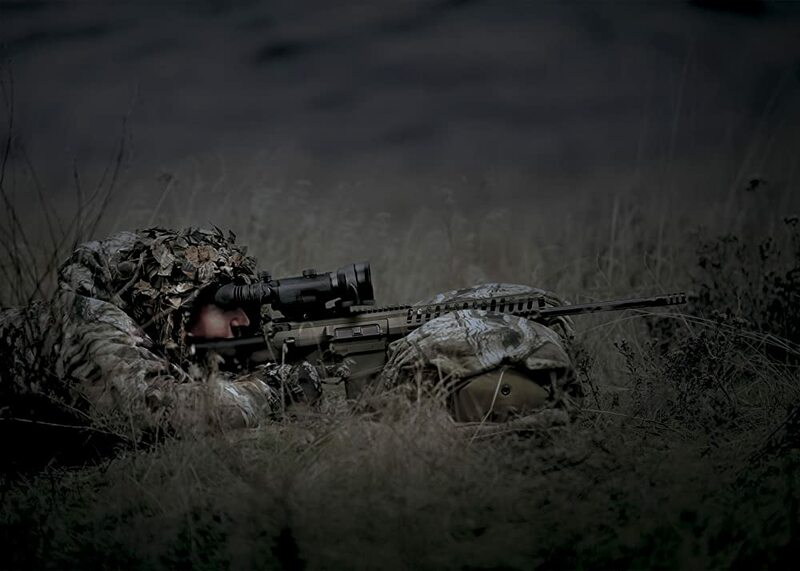 To effectively locate your target at night during extreme distance, night vision technology requires the best choice. 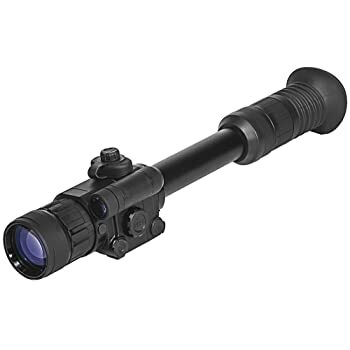 The list of night vision riflescope reviews provide you with useful buying information. You can base your purchasing decision on night vision generations when searching for a monocular or binoculars. However, you will need more than just the Generations when buying scopes. Unlike a monocular and binoculars, scopes are engineered to hit other than observing a specific target. There are various factors that you gave to consider apart from the generation. The features of a scope in Gen 3 are certainly different from those of Gen 2. The following are the particular features you should look out for. There are two things that come in play when you talk of optical clarity, which are resolution and contrast. By definition, resolution is the ability of a scope to measure the angular separation of an image; while contrast is the range of optical density. As far as tactical operations and hunting are concerned, resolution is definitely critical. This is the feature that helps you to make a positive identification of the target; the higher the resolution the better clarity and contrast of your image. Basically, you cannot have a higher resolution without doing harm to contrast. You will surely get a well-detailed image if you have low contrast and high resolution, but you will have a hard time making out distinctions. On the other hand, high contrast and low resolution will make larger details distinct. With that said, you need a scope that has resolution and contrast well-matched. Therefore, the best night vision scope is one that compromises between contrast and resolution. This is an important factor when buying a night vision scope as to buying a normal rifle scope. Therefore, you should not be more concerned with the total range; instead you should pay attention to the recognition range. The range is normally estimated by the expanse of ambient light. The available recognition ranges are overcast, starlight, quarter moon, and full moon ranges. Each scope’s range differs considerably based on the ambient natural light. A 600 yard recognition range in full moon will only have 100 yard range under an overcast sky. Ergonomics is basically proportionally to the price of your scope of choice. Concluding on what makes a scope highly ergonomic is just personal preference. You should know that the higher the magnification the bigger the scope. How ergonomic a scope is depends on how lighter or heavier the scope is. With that said, hunting will need a lighter optic, because it is easier to aim, comfortable, and it will not interfere with your rifle’s maneuverability. Special Features: High resolution display; day & night use; long eye relief; digital reticle accompanied by six reticle options; highly bright light proof; video output for video recording; weatherproof & shockproof; and incorporated with additional weaver for rail accessories. Description: You will surprised by the performance of this device for its price tag. It is the best night vision for hunting because it is designed for precision shooting at medium range. The magnification delivered by this scope is high enough. The design is incorporated with six digital reticle options (red/green/white) for different applications. It is highly versatile; you can use it during the day as well as night. The video output feature allows you to capture anything that you aim at. Precision is guaranteed by the inclusion of digital elevation and windage system. It is one of the best scopes to use with a crossbow apart from a rifle. Your hunting success rate will increase remarkably with the help of this scope. It is well-designed, sturdy, and rugged with tight quality control. You do not need special skills to operate the device, since the functions are easy to learn, sensible and unsophisticated. It powers up instantly, and the adjustment knob and buttons respond excellently. It presents a number of issues when used with a crossbow. 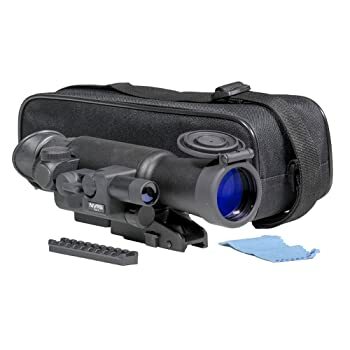 Special Features: Uses CORE tech; mounts to standard weaver rails; shock protected; quick release mount; illuminated reticle w/ brightness adjustment; low battery indicator; fog & water resistant design; and detachable long-range infrared illuminator. Description: The Armasight Vampire is the best night vision scope for tactical marksmen, predator hunting, and for general night vision uses. You will be amazed by the ceramic optical ruggedized engine technology, which incorporates the use of an image tube. When compared to Generation 1 devices the resolution provided by Armasight Vampire is double, providing you with clearer and flatter night vision images. Placing precise shots is remarkably easy with this scope because of the manually-adjustable fine reticle and multicoated all-glass lenses. You will be astounded by the expanse of light intensification this scope offers. The scope is highly user-friendly. You can easily mount it on a Picatinny. You can actually mount it on your AR-15 without any problems. Exceptional performance. You will be able to spot and distinguish a hog, deer, coyote, or rabbit at 300 yards in the absence of moonlight. Highly resourceful and durable. It mounts conveniently to standard weaver rails, and it is fog and water resistant. The scope is heavier for long range targets. Its features work best for shorter ranges, such as a hundred yards or less. Special Features: Built-in IR; quick detach weaver mount; high quality resolution and image; ergonomic design; high magnification; and lightweight & durable titanium body. Description: Firefield FF16001 NVRS scope is what you need for hitting a target, such as a deer in the darkest of nights. It features an in-built IR illuminator that is high powered. The IR illuminator does not only enhance image particulars, but also improves your viewing range in complete darkness. You can easily shift to iron sights or optics thanks to the easy-to-detach weaver mounting system. You should be able to get a clear image of your target at medium to long range because of the 3X magnification power and the 42mm lens light gathering capacity. You can easily become accustomed to your surrounding environment when using the scope. This is made possible by the duplex red reticle and multi-coated optics. This is the best Generation 1 riflescope you can get on the market. Its built-in IR offers a very clear image that easily allows you to target a game or predator at 200 yards in complete darkness. The scope is highly affordable. You can buy this model if your pocket is not thick enough to purchase a military grade riflescope. The lightweight and rugged titanium body, built-in IR, and quick detach weaver mount offers you an ergonomic and durable riflescope. The tube produces a lot of black dots, which is a problem when aiming at a target further than 50 yards. 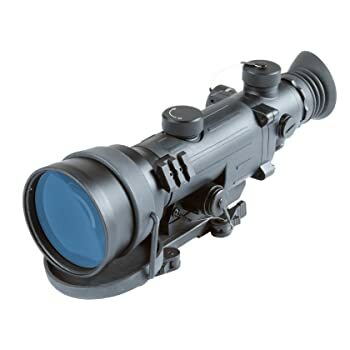 Special Features: In-built powerful IR; multi-coated optics; flip-up objective lens cover; on/off remount control; precision elevation and windage adjustment; standard weaver MIL-STD-1913 rail mount system; adjustable lit red on green reticle; waterproof meets IPX5 rating; and ergonomic and durable body. 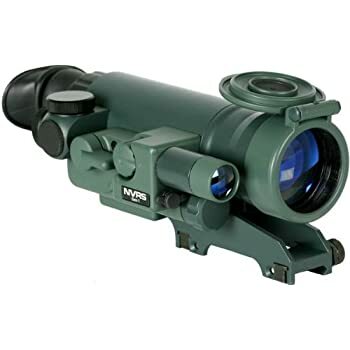 Description: The Yukon NVRS is the best night vision scope for varmint hunting. As far as Titanium line of scopes is concerned, this is the lightest and smallest model for the money. Expect the best shooting experience with its ergonomic and long mount design. In addition to precision shooting the long mount allows you to use the scope with different rifles. Its 1.5 magnification power along with 42mm lens offer light gathering ability and high resolution for obtaining a clear image at 100 yards. The scope mount is not only strong and sturdy, and you can effectively use it during the day when out hunting. You can also darken the crosshairs with respect to your needs. As far as Generation 1 scopes are concerned, this is the lightest and smallest model you can buy. Comes with a lifetime warranty against any imperfections in workmanship as well as materials. Its best performance is limited to 100 yards, and in time it presents significant design and performance flaws. 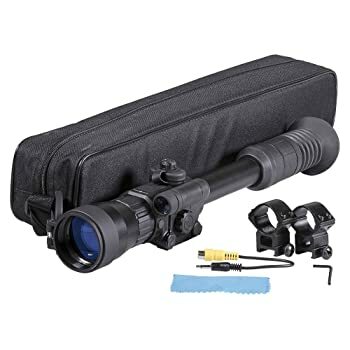 Special Features: IR illuminator; high resolution display; durable body made of glass-nylon composite; high magnification; and digital reticle w/ six reticle options. Description: The Sightmark photon digital scope is engineered to operate at night and in daylight. This unique night vision digital riflescope is installed with high magnification and six digital reticle styles for viewing targets in different conditions at an extended range. This is the exact model to buy if you are after a highly ergonomic and durable scope. It has a weatherproof and shockproof design that does not only provide long eye relief but also protected against bright light exposure. The scope’s remarkable resolution, magnification power of 6.5X, and enormous 50mm lens size provides optimal brightness and a clear image up to two hundred yards. All scope’s controls function properly and they are easy to master. The scope’s resolution, objective lens, and magnification power allows you to pick up a target up to 200 yards. The design is quite fragile, you have to be extremely careful when handling it or else you lose the elevation and windage adjustment system. The best night vision scope should feature a high resolution, ideal range, and should be highly ergonomic. Nevertheless, that is not enough. You need a device that can withstand the extremes of Mother Nature, such as humidity and snow. One of the most important design features is the ability of a scope to resist water and shock. Also make sure the scope can take some abuse without damage. All the above is possible if the design is made of high quality material. 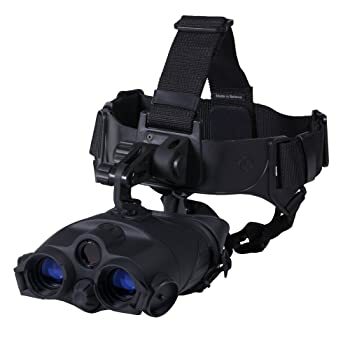 Also referred to as night optical devices, night vision gadgets are optoelectronic gadgets that display images from a distance and in levels that are near to darkness. The image displayed by these devices is characteristically monochrome. 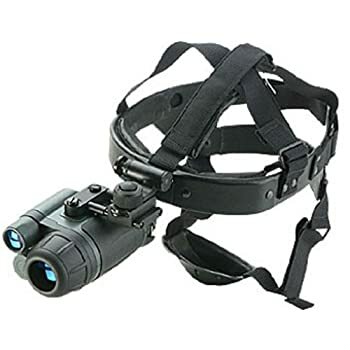 By default, the best night vision, rifle scope, goggles, monocular, and binoculars night vision devices are designed to be used by law enforcement and military. However, they have been significantly espoused by the society for different occasions, including hunting, sightseeing, bird watching, and sporting events. There are two different types of night vision devices, including image intensifiers and thermal imaging systems. These are devices that amplify feeble light of the sky glow, stars, and moon on a green display. Green is the default color used since the human eye can effectively differentiate more shades in green than in any other given color. Image intensifiers are basically light multiplication device. They are installed with an input window as well as an output phosphor. The display on the phosphor output is much brighter than the incident one on the input window. They were mainly engineered for nocturnal seeing along with surveillance under starlight and moonlight alike. They are able of spotting as well as amplify weak emissions, producing sharp contrast images. They are not only useful for nocturnal viewing, but also for scientific research and industrial product inspection. Thermal imaging is the latest technology associated with night vision devices. This technique uses the heat of the target / object to display an image. This method extends one’s vision beyond the short wavelength into the far-flung infrared by displaying the light naturally radiated by warm objects, such as a wild animal or fellow human being. Thermal imaging functions in environments that do not have ambient light. The tech can go through obscurants, including haze, fog, and smoke. Thermal imaging devices are installed with grey scale, meaning that white objects appear hot while black ones appear cold. The variations of the two are indicated by depth of grey. The heat energy produced by the target is referred to as heat signature. There are two types of thermal imagers, including cooled and un-cooled thermal imagers. Cooled Thermal Imagers: They are made up of cooled detectors that are enclosed in a vacuum sealed cover, and they are cryogenically cooled. To avoid radiation blinding the detectors because of the semiconductor materials, the detectors are cooled. As far as performance is concerned, cooling of the conductors delivers grander image quality. Cooled thermal imagers are not only expensive, but also bulky. Unlike un-cooled detectors, these ones require a significant amount of time to cool down prior to using them again. Un-Cooled Thermal Imagers: The sensors used by these imagers are either made stable using control elements at room temperature, or make use of a sensor functioning at ambient temperature. Contrasting to cooled detectors, the uncooled versions use less power and offer fast operation. They are typically smaller as well as less expensive. They generally have low image and resolution qualities when compared to cooled thermal imagers. Not like image intensifiers which definitely need ambient light to produce an image, thermal imaging devices can function in complete darkness by detecting the infrared radiation from the target (heat source). These devices transform thermal contrasts into visual contrasts, but they suffer from the inability to differentiate facial features, and lack of detail. However, there are significant merits of thermal imagers as to image intensifiers. Choosing between image intensifiers and thermal imagers is not as complicated as you would imagine. Irrespective of the high quality images produced by image intensifiers, they are certainly bulkier for outdoor activities, such as hunting and sightseeing. On the other hand, thermal imagers are conveniently small and lightweight. Advancements in technology have enabled these devices to be reduced in size, so as they can be easily handheld. Night vision devices first appeared during World War II. Ever since, they have developed through technological generations. They basically began with Generation 0, well-known as meta-scopes. Then they evolved to what most people know – Generation 3. The latest category of night vision devices is Generation 4. To understand what Generations of night vision devices refer to you have to understand how they work. These technology function by gathering miniature particles of light and then focus them into the devices. The devices convert the particles to electrons, which are multiplied as well as projected based on the type of the device (image intensifier or thermal imager). The entire process is complex, and a number of things determine the produced image. There are specific features that separate the least expensive from the most expensive night vision devices. These systems have been around for decades, and they have undergone a series of changes, which are generally referred to as Generations. The particular features that improve with each generation are: light gathering ability, range, and picture quality. Nevertheless, the price is dictated by all technical features and specifications. This generation features the original night vision devices, which were developed by the US Army. These devices were put to use in the World War II. Their designs feature an attached IR illuminator that casts out a beam of IR. The beam is normally the same as that of a regular flashlight. It is the IR that reflects an object and then bounces back to the night vision device’s lens. The design incorporates the use of cathode and anode so as to accelerate the electrons. However, the acceleration of electrons presents a big problem, which is distortion of the displayed image. Examples of Generation 0 NVDs are: AN/PAS-4, M3 Sniperscope, M2 Sniperscope, T-120 Sniperscope, SU49/PAS 5, PNV-57A Tanker goggles, and PAU-2. Generation 1 night vision devices were engineered in the 1960s. They are still in use. These NVDs function well in visible light, but they tend to perform poorly in complete darkness. Their performance is boosted by the light from the moon and stars along with the additional infrared illumination. When compared to the succeeding models, Generation 1 NVDs are highly affordable. Examples of Generation 1 NVDs are: PAS 6 Varo Metascope, PNV-57E tanker goggles, AN/PVS-2 starlight scope, and AN/PVS-1 starlight scope. Generation II night vision devices were created in the 1970s. Unlike Generation 0 and Generation 1, Generation II NVDs have a remarkably longer life span. They do not need visible light to function properly. Therefore, they function exceptionally well in complete darkness. 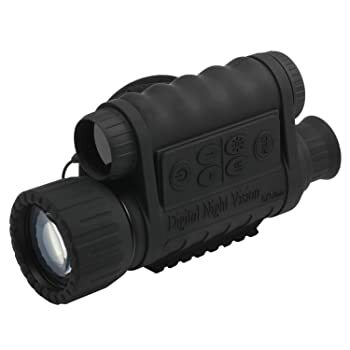 They provide improved resolution as to Generation 1 NVDs, and they are the ideal option for night hunting. The devices under this category are installed with an advanced image intensifier tube. Examples of Generation 2 NVDs are: PNV-10T, SUPERGEN, AN/PVS-5, AN/PVS-4, and AN/PVS-3. These are the state-of-the-art night vision devices for the money. They first emerged in the 1990. The major advancements of these night vision devices are based on the contemporary photocathode coating, along with refined P-20 phosphor screen, MCP, and control electronics. They have an extraordinary ability of gaining light as well as resolution as to all previous Generations. Generation III night vision devices have long tube life and remarkable low-light performance. Examples of Generation 3 NVDs are: PN-21K, CNVS-4949, AN/PNVS-14, AN/PVS-14, AN/PVS-10, AN/NVS-7, and AN/PVS-7. Generation 4 NVDs feature Gated Filmless and thin filmed technology, which according to the industry offer a noteworthy tube life of fifteen thousand hours. This tech also ensures that the tube is safeguarded from the exposure of bright light. The use of filmless and thin filmed tech results into the following: triple high light level clarity, improved performance in total darkness, and up to 100% improvement in photo response. Irrespective of the latest advancements, it is not certain that the filmless and thin filmed NVDs can collectively be referred to as the fourth generation. 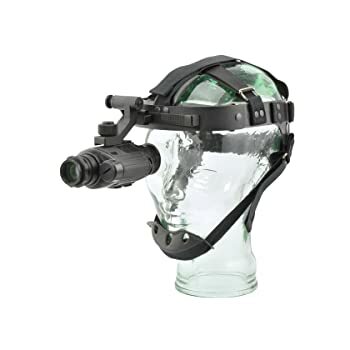 How to Select the Best Night Vision Devices? Knowing the differences in Generations of night vision devices is the first step you must take when learning how to choose the best NVD in the market. Basically, the choice you make is completely based on the various night vision device parameters. The main parameters that you must take into consideration are as follows. Weight, size as well as ergonomics are among the most important considerations when shopping for a night vision device. Usually, a more comfortable NVD is one that is lightweight and compact. In most cases, the weight of a given device is determined by the type and Generation, which refers to the features. For instance, image intensifiers are known to be less portable when compared to thermal imaging devices. The working range of a night vision device is an important factor. The detection, identification, and recognition of a night vision device are determined by the working range. The field of view is the amount of landscape that you can see through your night vision device. This is a crucial consideration when establishing the quality status of the night vision device you are about to buy. You should know that the quality of NVDs is determined by both ocular and objective field of view. This is the distance from the pupil of the eye to the ocular lens of a night vision device when the NVD is positioned far enough for the entire field of view to be seen. The amount of eye relief in a NVD will vary from one Generation to another and from one brand to another. The comfort of observing images via NVDs depends on how big the eye relief is at a given event. Sensitivity to the action of radiant energy is associated with the minimum light levels needed for a night vision device to function properly. As far as photosensitivity is concerned, Generation 2 devices are better than Generation 1. This feature has been improved significantly in Generation 3 and 4 night vision devices. Practically, the battery does significantly affect the quality of a night vision device, which depends on the capacity and weight of the battery. The continued demand as well as the capacity establish the length of time you will be able to use the device. Therefore, choosing a device with a longer battery life is important. As much as you would want to overlook this factor, you still have to consider it before making purchase. Generation 1 NVDs are usually cheaper when compared to Generation 3. However, the features you can find in a Generation 1 device are not as advanced as those found in Generation 3. So, it all comes down to your budget. Apart from the parameters, you have to consider the event and environment in which you will be using your NVD. This is particularly so when selecting a monocular or binocular. With respect to the environment, your first consideration should be distance. For instance, different binoculars have dissimilar distances. Therefore, the money you will spend is actually dictated by the distance of your target. You will definitely spend less for a gear that can cover short distances, and you will spend more for a gear that will cover longer distances. The very final thing that you must settle for is the image quality. Well, the manufacturers can say whatever they like about their NVDs, but the final say is with you. Apart from the amazing features that come with these devices, you need to ensure that your device of choice comes with exceptional ergonomics. The rifle scope, goggles, monocular, and binoculars you choose should be better than expected the moment you learn the settings and operation. 1. What is a night vision device? A night vision device is an optoelectronic gadget that displays images from a distance and in levels that are near to darkness. The image displayed by such a device is typically monochrome. 2. How many night vision generations exist? There are four generations so far, but the existence of the fourth generation is not conclusive. The filmless and thin-filmed technology used in Generation 4 optics is what defines the fourth category. 3. How do NVDs work? The main idea of night vision is to take the available ambient light and intensify it to produce the desired image. Available light goes through the objective lens and is amplified as it goes through the image intensification tube. Basically, night vision devices function by collecting light energy, and converting it to electrical energy, and finally transforming it back to light when the electrons come in contact with the phosphor screen. 4. What are the major differences between Generation 1 and Generation 2 NVDs? The design of Generation 1 NVDs is based on image intensifier tubes. Usually, the tube has simple configurations and is vacuum sealed. On the other hand, Generation 2 NVDs are based on micro-channel plate. Generally, Generation 1 gear has lower gain and resolution as to Generation 2 and Generation 3. Most people confuse the two. Well, they all fall under night vision devices. When considering thermal cameras, they are in principle not cameras, but more of sensors that pick up heat signatures. It depends with how you view the technologies, but thermal imaging has numerous applications over night vision. One of such applications is the ability to display minute differences in the displayed image. 6. Are there legal restrictions associated with night vision devices? Most people think that there are some devices that are restricted to Law Enforcement and the Government. However, there are no restrictions imposed on civilian ownership of NVDs. The restrictions are put in place by manufacturers because of the low supply and high demand of such products by Law Enforcement. 7. Why civilians are not allowed to buy IR lasers? In the main, IR lasers are managed and controlled by the United States FDA. With that said, FDA has categorized the lasers as IEC Class 3B or Class IIIb. They are invisible to the human eye, and they can cause considerable damage. That is why they are restricted to the civilians. 8. What is night vision good for? The major applications of night vision are: law enforcement, military, hunting, and survival.